Home » What is your skin type? 1. What are the characteristics of Normal Skin? This type of skin is very rare for adults, but is also the most desirable one. Skin is soft to the touch without open pores. The sebaceous glands work normally. Skin is not shiny, does not flake off. Normal type skin is free from all the characteristic problems of the other types of skin. It has an ideal balance of oil and hydration levels. 2. What are the characteristics of Sensitive Skin? Redness, burning, itching, broken capillaries, rash, desquamations, tightness and hypersensitivity. If you can find some of these symptoms on your skin, or all of them, that means that your skin can be considered sensitive up to and including rosacea problems. 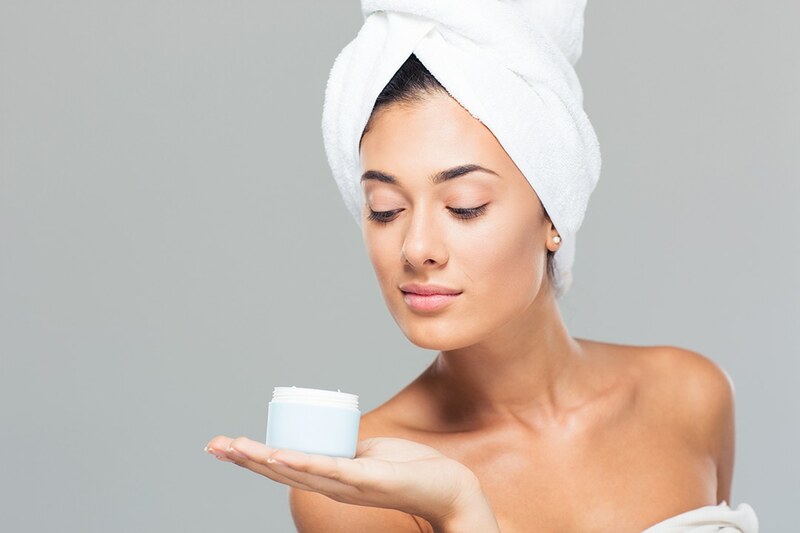 That can be the natural type of your skin, but there are also are some factors which can make your skin even more sensitive: stress; an allergy to cosmetics which you use, especially strongly fragranced products; a reaction to high or low temperature, spicy food, lack of water, environmental pollution, to o long or frequent sun exposure. Rosacea : A type of skin disease with chronic, inflammation and visible blood vessels – very rare. 3. What are the characteristics of Dry Skin? Skin is tight; could be in pinkish color in some areas, especially after cleansing. Can flake off and inch. The surface of the skin is without open pores. It can be rough to the touch and be sensitive to new cosmetics. Dry skin can sometimes be attributed to the process of aging. Very often skin becomes more dry as we get older. Specific environmental factors such as: strong air conditioning, too much heat, UV rays, dry air. Another reason is using inappropriate cosmetics, or too much sun exposure. Also an unhealthy diet, lack of water and overuse of the alcohol. 4. What are the characteristics of oily or combination skin? Your skin is overactive with the production of sebum (oil), with open pores, blackheads or acne areas. Often the skin surface is not even and has grayish color. Oily skin can have all of these symptoms at the same time. Combination skin usually has a T-Zone, which means that the oily part is in the middle of the forehead, nose and chin. Also in these areas it is common to have blackheads and blemishes. The rest of the skin is dry or normal. What can make oily skin even more oily or problematic? The hyperactivity of sebaceous glands; stress; pollution, hormonal imbalance; using harsh cosmetics daily.